Our mechanic has over 30 years experience working from standard bicycles to high-end bicycles.We are always happy to help you. 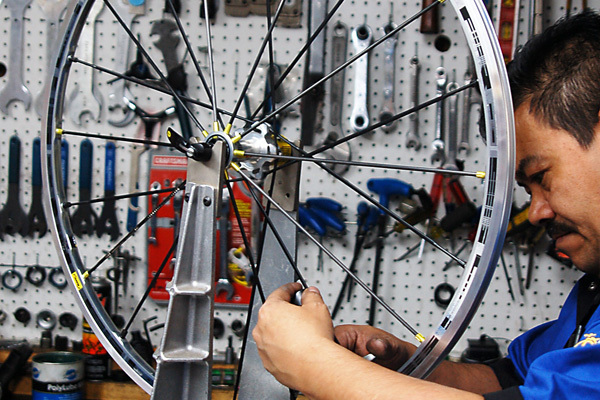 Giving you a free estimate to make sure you get the best service and your bike will be in a good condition for a fun-safety ride. Keep in mind if you are planning to have costume made set of wheels, our mechanic is well known for having great experience in wheel-building! 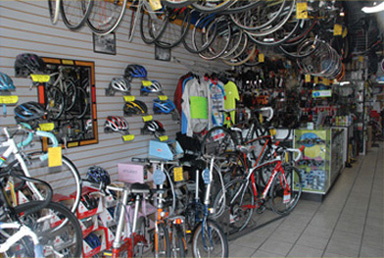 To have a fun day riding bicycle make sure to come to us… We will help you finding the right accessories and parts to feel confident putting miles on your bike. All the parts you find down in this page we sell them in the store and much more……. Also if you are interesting in an specific part we do special order for you without paying any shipping. Our bicycle fitting system utilizes measuring devices and software to enable our bicycle store to fit cyclist with a safe developmental starting position. In Using this bicycle fitting system, you will reduce injuries caused by improper fit and maximize performance. Please click on the logo of your interest to learn more about the products we sell at the store.